Your smile is often the first thing that people notice about you, and as the power to make or break the first impressions, you leave. 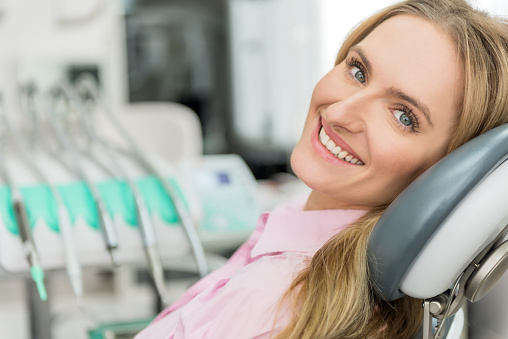 When most people think of the perfect smile, they tend to focus solely on the condition of their teeth. While the teeth are an integral part of your smile, they are not the only factor. Your gums also play an important role. No matter how perfect your teeth are, a recessed gum line can leave you with a less than perfect smile. At Bradshaw Family Dental, we can help to treat gum recession, restoring your smile and your oral health, with a gum graft. Your gums play many important roles in your mouth. One of these roles is in the appearance of your smile. If your gums have receded, your teeth begin to appear longer, which can cause your smile to suffer, even if your teeth are otherwise perfect. Your gums also play an important role in your oral health. The tissue covers the roots, forming a tight seal around your teeth, protecting them from different things that can cause sensitivity. They help to protect the roots of the teeth and your jawbone from bacterial attacks that can otherwise lead to gum disease. This tight seal also helps to provide additional stability for your teeth in addition to your jawbone and your periodontal ligaments. • Gum disease. When bacteria attack your gum tissue, the tissue swells. The tissue begins to pull away from the teeth, leading to the formation of pockets. Bacteria collect in the pockets, where they continue to attack the gums, causing the pockets to grow deeper and deeper. Eventually, infected tissue dies off, leading to recession. • Aggressive tooth brushing. While brushing twice daily is essential, brushing too hard can be detrimental. Even with a soft-bristled toothbrush, aggressive brushing can wear away sensitive tissue. • Tobacco products. Cigarettes and other tobacco products deprive your gums of essential nutrients. These products also interfere with the ability of your body to effectively fight off infections. • Bruxism. Constant grinding and clenching put excessive pressure on your teeth and your gums. This can cause the tissue to wear away. A gum graft is a surgical procedure that involves transplanting tissue to the affected areas of your gums so that we can restore a healthy, natural gum line. The donor tissue is typically taken from the roof of your mouth or from surrounding gums. In some cases, the tissue may be taken from a donor. Surgery is performed under a local anesthetic and sedation. The donor tissue is harvested and sutured into place in the areas affected by recession. As you heal, the tissues fuse together, forming a tight, protective seal around your teeth. With a successful gum graft, both your smile and your oral health are greatly improved. There are a few different types of gum grafts that may be performed. • Connective tissue graft. A connective tissue graft is often used when root coverage is required. The tissue is harvested from the roof of your mouth, taken out from under a small flap created in your palate. • Free gingival graft. A free gingival graft is used when keratinized tissue is needed. This type of graft also uses tissue taken from the roof of your mouth, but the tissue is taken directly from the palate. This results in a larger, open wound. • Pedicle graft. A pedicle graft uses surrounding gum tissue to restore your gum line. Strategic incisions are made, and your gums are rearranged to cover the affected areas of your teeth. This type of graft helps to keep blood vessels intact, which can aid in faster healing. With a gum graft, we can restore a healthy, natural gum line, enhancing the beauty of your smile and the health of your mouth. For more information, and to schedule your consultation, call Bradshaw Family Dental today at (928) 277-0076.